You Gotta Be Crewel To Be Kind – Imagine Classic Literary Characters living in the Modern World. Read Jane Eyre Gets Real, a Novel by Annabelle Troy, available on Amazon! Hester Prynne is the character in Jane Eyre Gets Real who is best known for her embroidery skills. Though Puritans were encouraged to dress mainly in muted or dark colors, with some touches of white for relief–or to be better seen in candlelight?–this code was known to be broken. They might, for instance, wear extra-large collars, gloves with gauntlet cuffs, prominent shoe buckles, even lace trimmings from time to time. This doesn’t mean the fine art of embroidery fell into abeyance. Women and girls were expected now more than ever to practice morality in the home and nothing was considered more conducive to this than needlework. 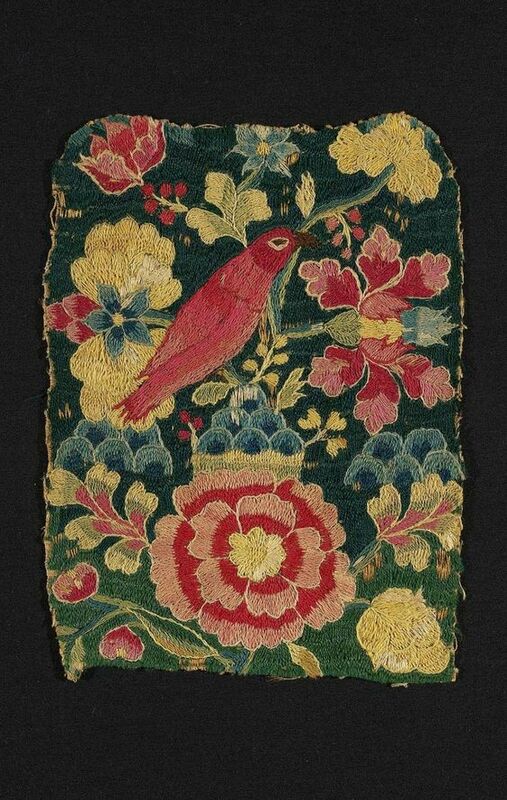 In the 17th century little girls began to learn stitches via samplers, which became very popular (at least for those not little girls). 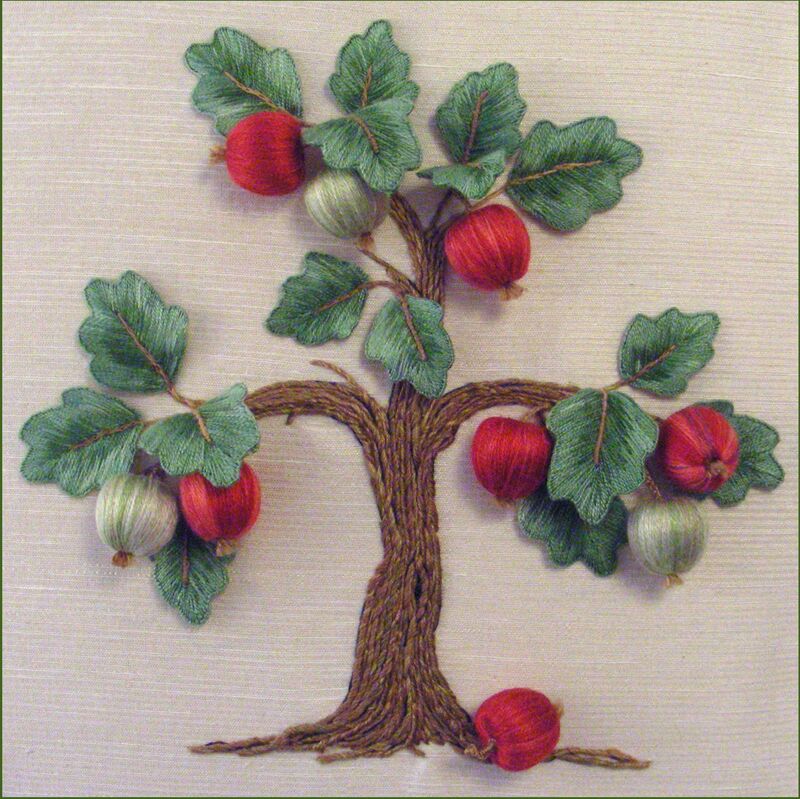 Crewelwork–a kind of surface embroidery using twisted wool–was all the rage and appeared on wall hangings and bed coverings. Hester would also have been adept at raised work or stumpwork as it is now known. Inspired by the lavish scrolls of Elizabethan embroidery, stumpwork involved a variety of fancy stitches worked on backgrounds of white silk, often padded with horsehair and enhanced with ribbons or spangled lace to give the finished piece added dimensionality. On special occasions, perhaps the hanging of a witch, VIPs (Very Important Puritans) might sport a collar or set of gloves bearing such work. Alas, the disgraced Hester had to be content with her scarlet A. Thank you! Strangely enough I was taught to embroider as a child and I did enjoy it but it is hard on the eyes and a real discipline…I guess that’s why Hester Prynne is one of my characters!! Yes I also learnt different embroidery stitches at school, but not to that exacting standard. My kids were never taught at school, so I showed them how to knit etc at home. It is a nice idea, Kids Who Knit!